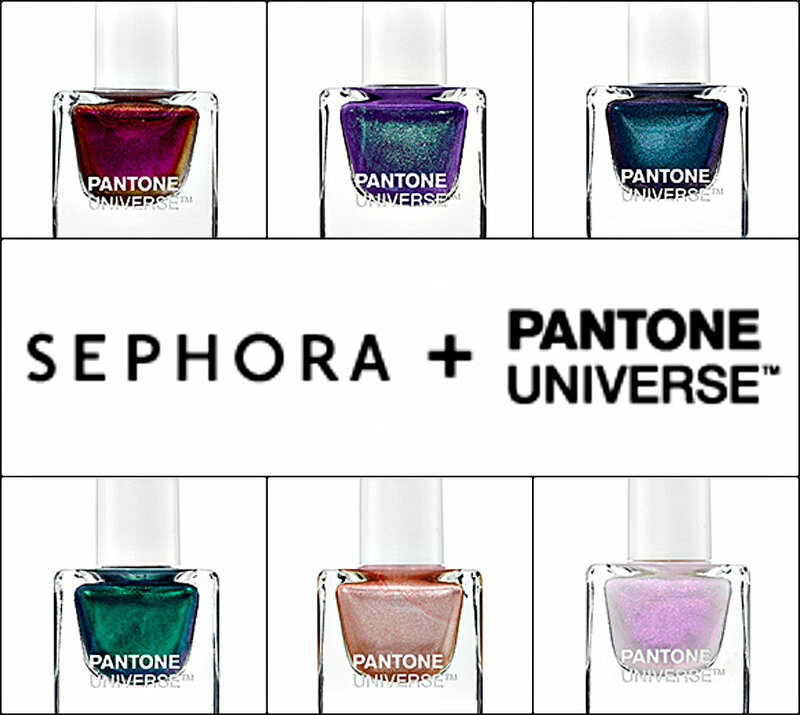 Sephora + Pantone Universe recently added some Fall products to their successful partnership's line-up, and I'm trying very hard to resist them! While their previous products centered around Tangerine Tango, the 2012 Color of the Year, these products seem to have little if anything in common with that shade. I assumed that this range of products would always be focused on the Color of the Year, but now I'm going to assume that the success of that venture has set them on a path to introduce additional products later in the year, as we get closer to December when they release the 2013 Color of the Year. Who knows what their marketing tactics are, but having had a longtime love for the Pantone Matching System and cosmetics, this line always piques my interest. You can click on the links to read more about each product. Have you picked up any of these products yet? The nail polishes look the most interesting to me, so I'm anxious to see some swatches. It seems like I have something similar (from Inglot, I think) to the Transforming Gloss, and the other lip products are probably something I can live without, but they are tempting me. I'm sure if the product name didn't have the word Pantone in it, I would be able to control my temptations a little better! Thanks for sharing these! I'm definitely going to need that purple polish. Drool. i picked up reflecting pool online last week and hope to post it up on my blog this week when it shows up! i love the bottles! I actually bought the palette and the set of brushes (shades of nature) and I loved them. I would definitely pick some of these up. I am excited for the nail polishes! The promo picture looks promising. and I thought that it would be great to have so amazing girl among my followers and be your follower also~! Oh wow, I need to see Violet Quartz and Cradle Pink and Reflecting Pond swatched.